ADVAN, a Cleveland Marketing Company serving Ohio since 2001, can help achieve the growth goals for your business. Experienced in all aspects of digital marketing and traditional marketing from defining your social media personality to targeting new verticals, our team can help. Effective marketing services and graphic design since 2001. The marketing team at ADVAN specializes in helps companies of all sizes generate leads, enter new markets and gain new customers. We are experts at utilizing all the available marketing mediums including websites, social media, email, branding, brochures, direct mail, PR and highly creative, effective campaigns. For larger companies, we act as an extension of existing marketing teams providing a level of expertise and design support to assist in elevating their campaigns. For smaller businesses, where it doesn’t make sense to hire a full-time marketing manager, we fill that role, just a few hours a week keeping momentum and projects moving forward to propel growth. We offer affordable SEO packages (search engine optimization) and SMM packages (social media management) that get results. We offer a full range of design services that will make your marketing budget go further. Get high-quality marketing programs at value pricing. Let ADVAN Improve Your Marketing Results. ADVAN is a full-service marketing agency with a team of experts available to handle all aspects of your marketing needs. From a fresh branding campaign to a strategic, fully integrated marketing plan designed to stretch your budget and maximize results! 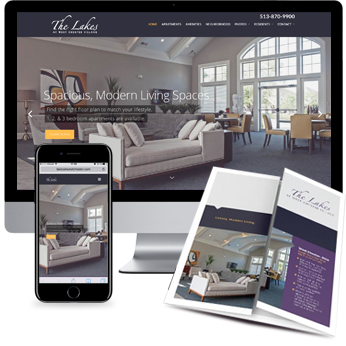 Ready to redesign hire a marketing expert, marketing agency Cleveland, a marketing agency in Akron, or the area’s best graphic designers?